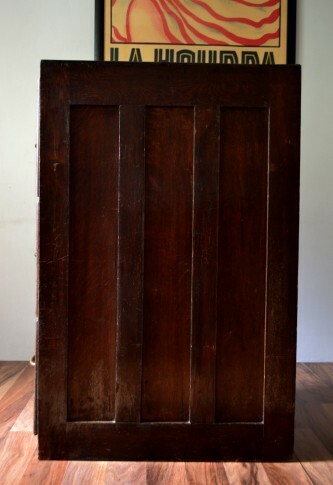 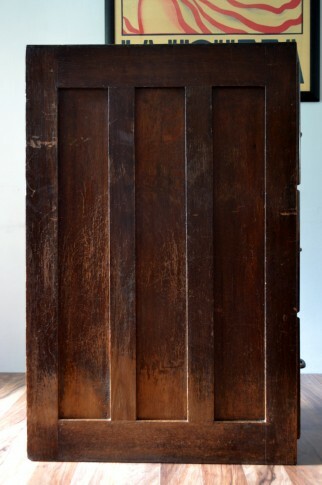 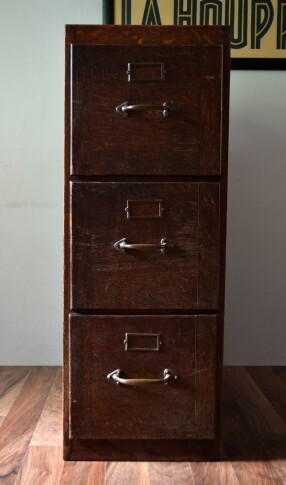 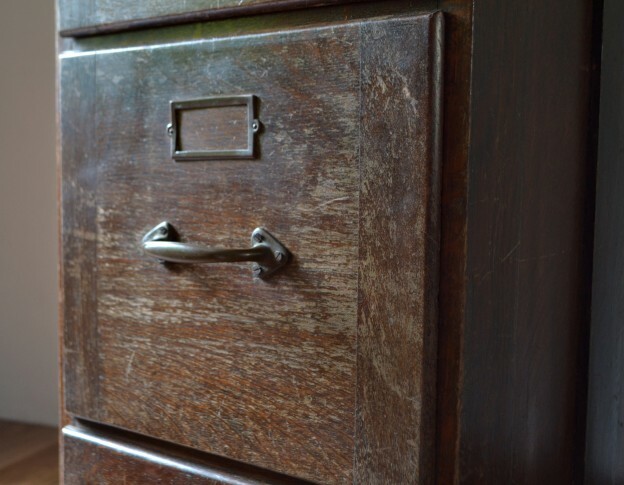 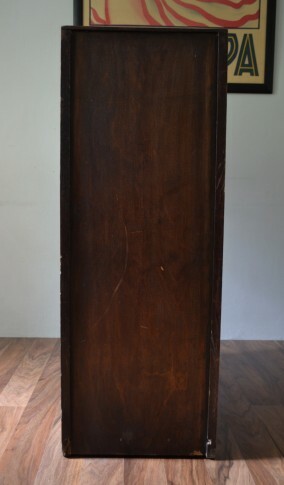 A Lovely 3 drawer Filing Cabinet in solid wood with original metal handles and card inserts. 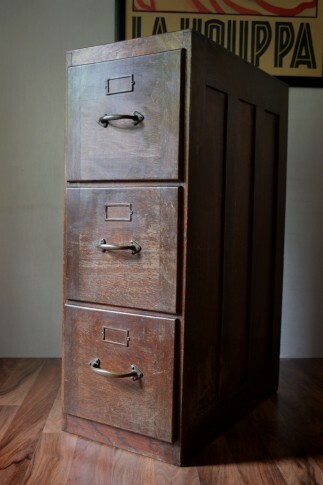 A sturdy and classic piece, great for the work environment or home. 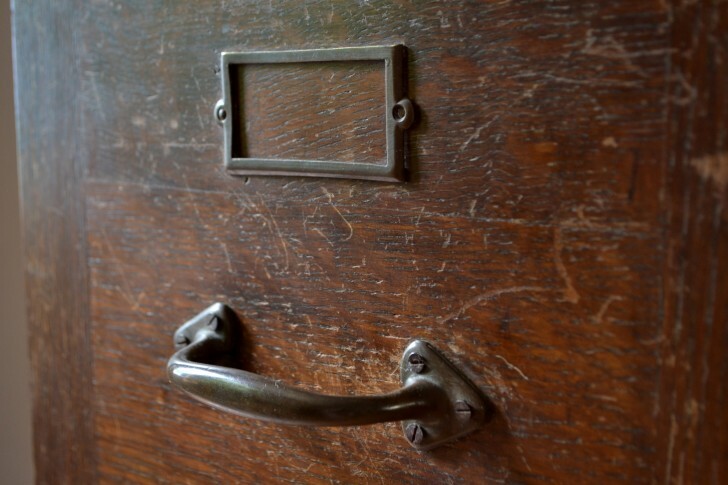 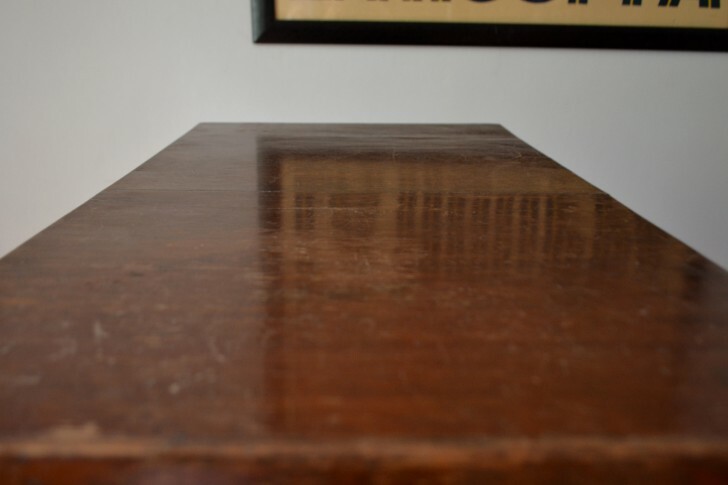 Signs of wear, scratches and marks commensurate with age.